Digital citizenship. It’s a multi-faceted concept that we model as educators and embed into lessons to help our students understand how to navigate, analyze, interact with, and create with digital technologies. 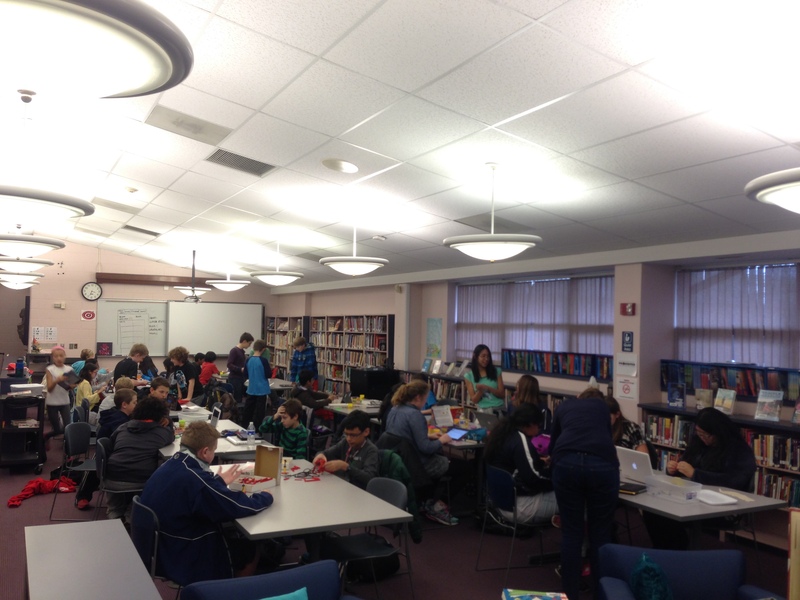 But, what does digital citizenship mean to a middle schooler? How do our young students process and connect with such a big concept? Using the guiding questions above, I tried to think of a new way to help students see some of the key components of digital citizenship. It’s one thing to understand the umbrella concept, but why are these components important and how do they interact to help us become good digital citizens? Students were active members of the discussion. 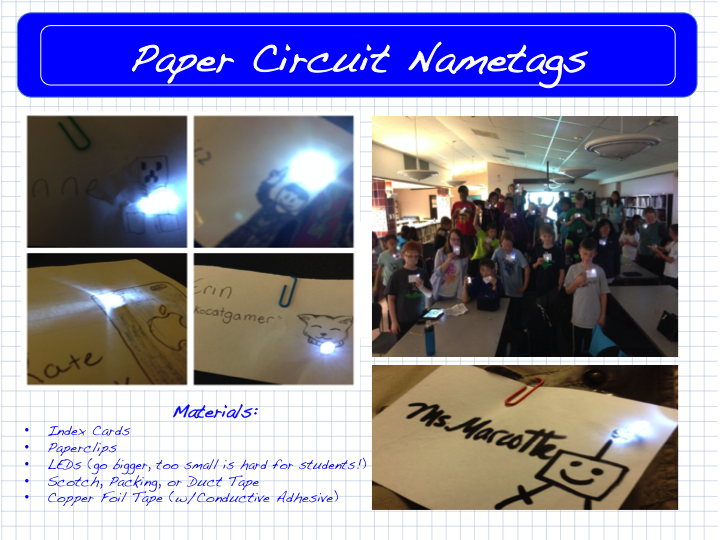 THEY were a key component, just as they are in digital citizenship. 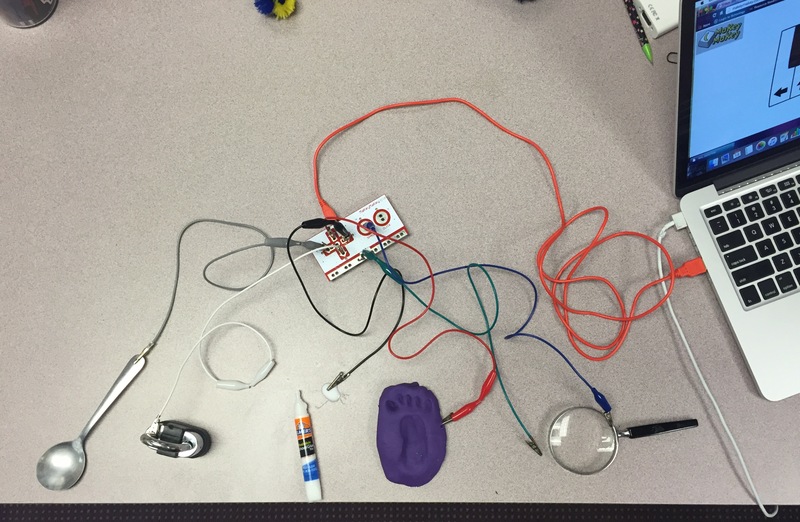 We plugged one item into the Makey Makey™ at a time as we discussed the component. We started to make rhythms as we plugged in items, allowing students to understand the relationship between the components and how they interact. I changed some of the noises in my Scratch project because I found they were too quiet in the classroom setting and weren’t distinct enough to be heard in the mix of components. My goal was to have enough time to have the class join hands and play together, to demonstrate how a community of good digital citizens can take on bigger challenges. Unfortunately, I only had 30 minutes for this lesson so we could only discuss this and didn’t get to the culminating activity. I am hoping that by streamlining some of the setup, we can get this in. Because of the nature of my job, I will be doing this lesson with a few other classrooms so I’ll be sure to update the post with new takeaways. 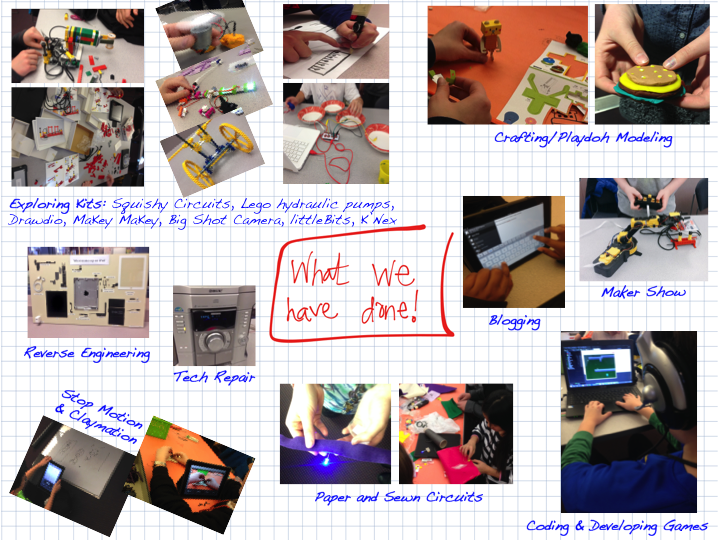 Here’s to Makey making digital citizenship come alive in a new way for students! 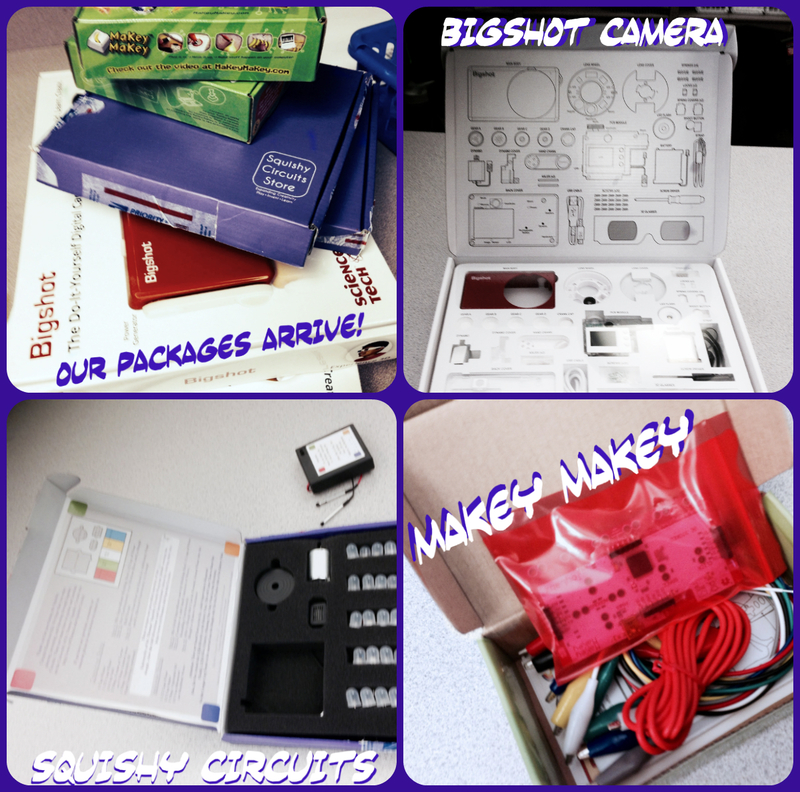 Makey Making Digital Citizenship Connections by Candace Marcotte is licensed under a Creative Commons Attribution-NonCommercial-ShareAlike 4.0 International License. 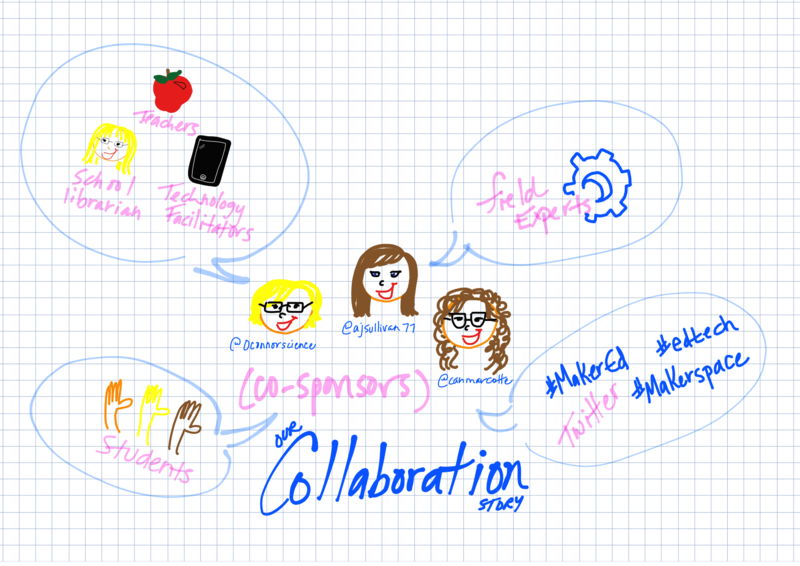 Categories: In the Classroom | Tags: digcit, makered, STEM | Permalink.